There has been a lot of talk recently about location aware services such as Foursquare, so we thought it was time to let you know our thoughts on how they can help local business. Foursquare is a location aware social game that allows users to “check in” when they arrive somewhere using their GPS enabled mobile device. If they do not have a GPS enabled device, they can also check in via SMS. Business owners can also offer incentives to check into their locations. When a user checks into a location more than twice and more than any other user who has checked in, that person becomes the “Mayor” of that location. Some organizations have made special deals where when the mayor arrives they may get free coffee, or dinner, and some places will even put up a poster announcing who the most recent mayor may be. This also helps spur competition to have someone else try and take over the mayor position which also means repeat business for your organization. Ensure your business is on Foursquare and that the details are correct. You can also add tips about your business and the surrounding area. You will want to make sure that your business details are correct and that your business name comes up the way you want it displayed on the Internet. You can add your phone number, web address and any other useful information that you want. Users can arrange meetings, parties and all kinds of events using foursquare and all they have to do is announce when and where through their foursquare profile. Foursquare was created for the portable device whether that be your cell phone or your GPS enabled Smartphone. It doesn’t matter. Users on the go, can check in on their mobile device. There are many different ways to interact with foursquare. You can use your iPhone, an android device, a blackberry, a palm device and you can even SMS to check in to the various locations. The benefit of a GPS enabled device such as an iPhone, is that when you launch the application it knows where you are and can see the foursquare enabled venues in your area. This makes it quick and easy for users to check in. With the prices of internet enabled devices coming down and more and more people getting internet enabled devices this type of online behaviour will only increase. Most of Smartphones have a GPS built-in which makes it very easy for services such as foursquare to grow. This in turn, allows more people to use it and see your business! So get on Foursquare and come up with some great promotion ideas for your users. It's early in the game and everyone loves innovators! I do agree that location aware services such as Foursquare is very important as geo-social is the new hot marketing trend for businesses. Their concept is innovative. 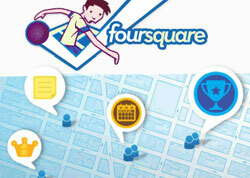 Four Square's success shows that innovative and real players always will get due relevance from the online community. 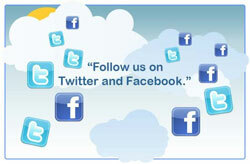 Squidoo is another such service where we can do a lot of things to increase our online visibility. You narrated it in detail covering the minute facets of the service. Thanks buddy. It is a fact that location-based social networks like Four Square, Aardvark seem to be generating the most buzz on local online marketing and is exerting great influence on the existing search engine optimization ways. They offer a new set of data for marketers that will have direct impact on SEO, customer decisions and lead generation. With a plethora of social networks and applications, it would be no wonder that now Foursquare joins the bandwagon and creates a stir in the hornet's nest (read Twitter, the big Tweeting giant) as – to me this looked more like a Tweeting website plus an added fun of gaming as well. I think it would be worth watching where Foursquare would go next.